The cyberpunk Martian adventure offers a range of fighting styles and customization options. 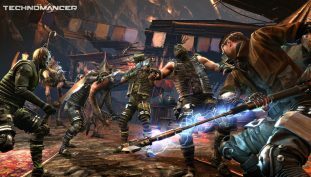 The Technomancer wallpapers for 4K, 1080p HD and 720p HD resolutions. Download here for free!